The Berylas Laser is the newest Class IV laser available and we have adopted it for our own Clinic and will be distributing to Veterinary Hospitals and Clinics in Australia, New Zealand and elsewhere. We have chosen the top of the range 30W model at least initially to enable a wide range of applications and to provide the maximum therapeutic capability in the least possible time. Our prices will be approximately 50% of the cost of similar Class 4 Laser devices currently available in Australia, and the others may NOT have the 30W output capability. Integrated injection molding by high quality engineering plastics, provide the body case with high strength, not easy to break by impact or drop. The details are very good, high dimensional accuracy, high color saturation, high gloss. The Berylas is one of the world’s smallest high-power laser surgical devices, to meet your laser surgery requirements as well as performing Rehabilitation Therapy for your patients. The massive 30W capability will suffice for 99% of treatment requirements. 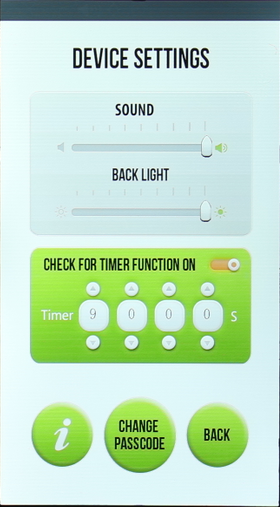 Full color high resolution 600*1024 pixel,7 inches LCD panel. The extra-large viewing area provides a smooth, quick and effortless touch experience, while guaranteeing reliability, readability and safety. 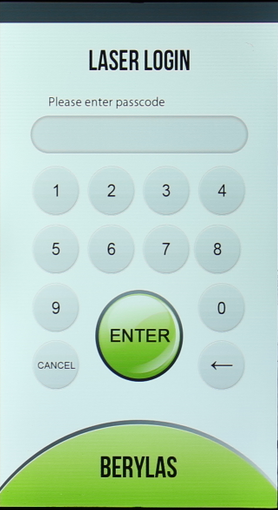 The screen brightness can be customized and adjusted for each operating environment. Through the most advanced and professional thermal design software for hundreds of thermal analysis simulation, the Berylas laser system achieved the amazing super function which can continue working at least 4 hours without any overheating problem. Each diode is wavelength specific and Berylas laser 30W provides multi wavelength 810nm/980nm to fully meet your needs for a variety of applications. The ability to upgrade your laser for future software updates through the SD card without the need to send the laser back to the manufacturer,This feature protects your laser from becoming obsolete, and maintains its role as a treatment partner. The power of the therapeutic laser matters in terms of the dose delivered, and the time needed to deliver the treatment dose. Power is a unit of time, and is expressed in watts (W) or milliwatts (mW). 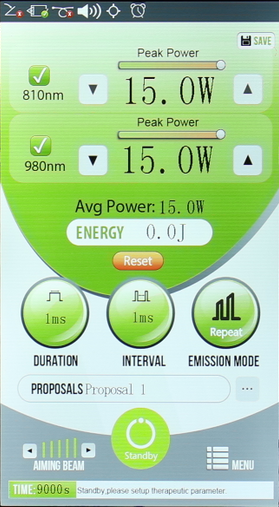 One watt is one Joule of energy delivered per second, and the laser dose is typically expressed as Joules/cm2 – the energy delivered over a surface area. 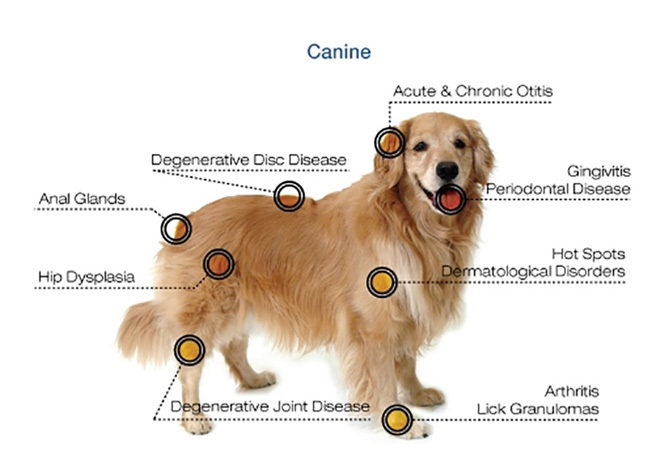 The most commonly used therapeutic lasers in veterinary medicine are Class III lasers, which may deliver energy from 1mw to 500mw, and Class IV lasers, which deliver power at greater than 500mw. A lower watt laser provides less energy delivery to deeper tissues so the time needed to deliver a treatment is longer. A lower power laser is better suited for treating superficial structures because of the limited power density to drive photons into the deeper tissues. A higher watt laser allows the treatment to be delivered over a shorter period and involves administering the laser energy with a sweeping motion over the affected area. This sweeping motion may provide more complete coverage of the treatment area and may cover surrounding areas that could be causing secondary or referred pain. Pulsing of the laser beam may provide less heating of tissues at the surface while allowing for an adequate level of energy to reach the deeper target tissues, but more research is needed to define the optimal approach to a pulsed laser beam. Accelerated Tissue Repair And Cell Growth – accelerate cellular reproduction and growth. Cells of cartilage, bone, tendons, ligaments and muscles are repaired faster as a result of exposure to laser light. 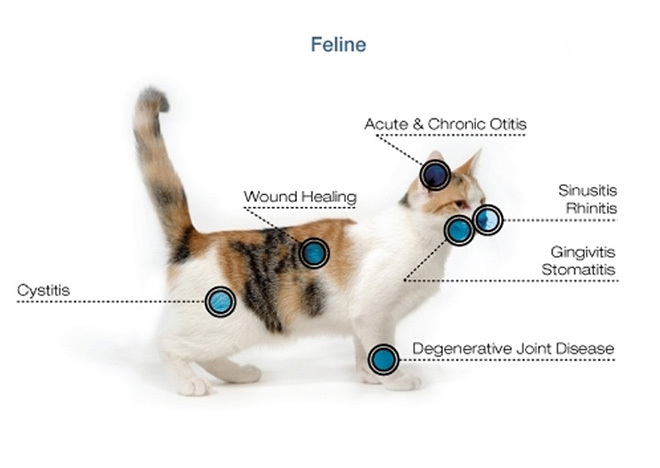 Reduced Fibrous Tissue Formation – Laser therapy reduces the formation of scar tissue following tissue damage and acute and chronic inflammatory processes. Anti-Inflammation – Laser light therapy has an anti-inflammatory effect, causes vasodilation and activation of the lymphatic drainage system, reducing swelling caused by biomechanical stress, trauma, overuse, or systemic conditions. Analgesia – Laser therapy has a beneficial effect on pain through the suppression of nerve signal transmission over unmyelinated c-fibers that transmit pain to the brain. Another pain blocking mechanism involves the production of high levels of pain killing chemicals such as endorphins and enkephalins from the brain and adrenal gland. Improved Vascular Activity – Laser light will significantly increase the formation of new capillaries (angiogenesis) in damaged tissue that will speed up the healing process. Feel free to send us questions or a request for more information about any of our IT Products and Services.